How many times do you look back on your life and say, "I wish I had done things differently"? As I get older, I find myself reflecting on things I have done and accomplished in my life. I have come to the conclusion that if I had done things differently at some point along the road that is my life, I wouldn't be who I am today. I have three wonderful children, who have blessed me with eight beautiful grandchildren. I have family and friends who love me for who I am, not what I can give them. I am not wealthy, by any means, but I live comfortably. And, I have my health. I am thankful for all of these things. I am thankful for the people who have touched my life somewhere along the way. I am thankful for the freedoms that I enjoy in this great land called America. And, I am especially thankful for the service men and women and their families who give so much to keep our land free. What are you thankful for? Take the time to tell someone you are thankful for their _____(help, love, encouragement......whatever, you fill in the blank). It only takes a moment to let someone know you appreciate all they do. Who knows, you might even brighten that person's day. 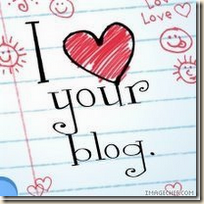 Thank you to all of the readers of my blog. I am especially greatful that you have taken a moment of your busy life to stop in and visit. I hope you feel comfortable enough to come back and visit again soon. Great big cyber hugs to all of you. Awesome, Carol. I feel the same way. Carol, you are an inspiration! what a great post! I am grateful for people like yoU! Like you, I often look back and wish I could change so many things, but then I risk not being who I am and having the family I have. And that's too big of a risk to take. Excellent post gf! Every day is a blessing even though many of us look back and reflect on our past. Hugs and smiles from me to you. What a Great Blog Post!! Sometimes, in the day to day, in and out.. we forget all about the blessings we have right in front of us. Thank you for the reminder to stop and remember.. and to give thanks. I have alot to be thankful for!! What a wonderful post Carol! Wow! You encourage me! It's great to see a "granny" in the digi scrap world!